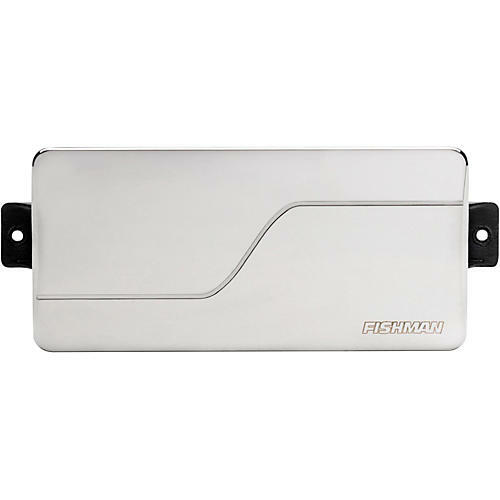 Fishman Fluence pickups are the first true multi-voice pickup with a cutting ceramic attack giving you a brutal active aggression and passive punch in the same guitar. Great in both positions or paired with Fishman's alnico neck model. Fishman Fluence pickups for electric guitars are the first real advancement in pickup system design in over 80 years. A new, analog, system-wide approach delivers great œidealized guitar sounds that are also quiet and free from hum and other artifacts that affect favorite pickups from the past. Another example of the fresh thinking applied to Fluence is the way their power supply is stored and managed. Can you use a standard 9V battery? Yes. But where do you put it if your guitar doesn™t have a compartment? The optional Fluence battery packs (sold separately) require no modification and screw on to your guitar in place of the control or spring cover. They offer 200+ hours of playing time and fully charge in a few hours using a standard USB charger.